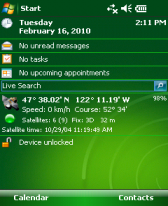 GpsCycleComputer v4.11 freeware for Windows Mobile Phone. 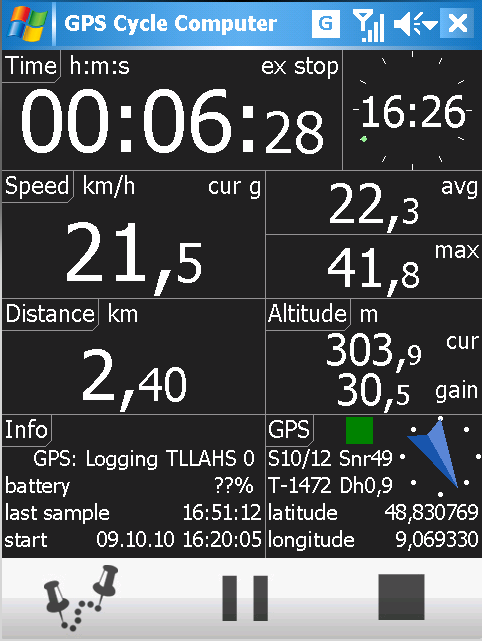 Summary: This GPS tracker has usual cycle computer display: time, distance, speed (current, average, max) plus a graph of your track on a map (OSM or jpeg) as well as graph of altitude and speed over distance or time. 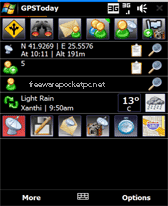 The navigation feature guides you along a loaded track (gpx). 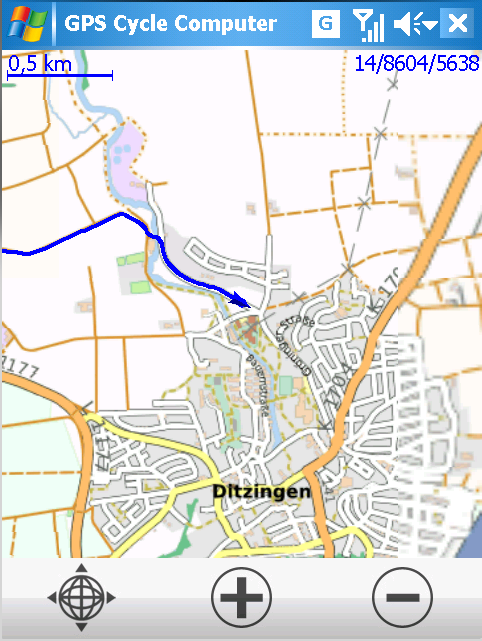 Waypoints can be created and loaded waypoints are displayed in map. 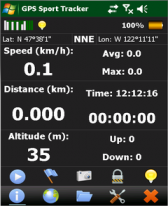 Now support for Geocaching with various input formats for Latitude/Longitude. 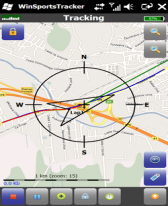 New features: - navigation arrow which directs you on your way on the Track2Follow. 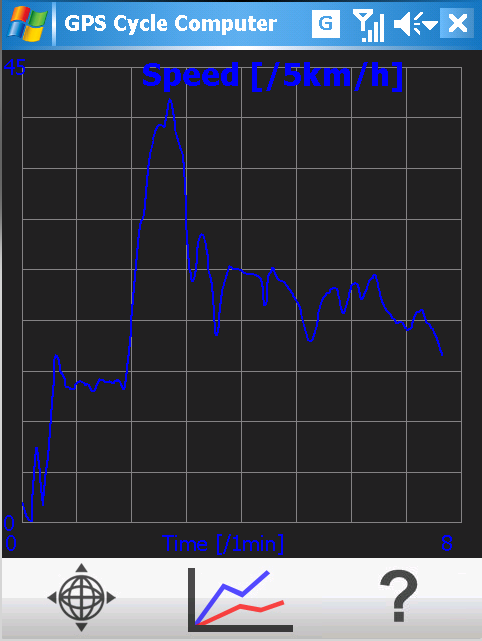 - audio notes can be recorded in waypoints. please ask your questions in English! I have managed to get it running eventually without resetting any "com address". But the tracks were very inaccurate with erratic markings. Will try the latest ver. soon. Still the old ver 3.013 works fine. Keep it up Klaus. Thanks. @ Michael: with "Mobile Atlas Creator" you can download maps from google maps for this application (see readme section 10). I can only use ver.3. very well on my Dopod P100. 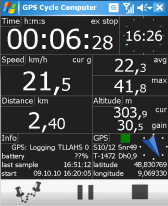 All ver.4 and later is not working as it won't get the gps started. great combination of features and options. it replaced three other apps I used to use.kudos to the dev! 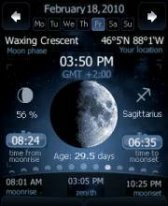 I like this Tool, it shows every Information I need. The Map is the only negative I found, but you can easily show the Track in GoogleMaps, so It's okay!